Do you have an investment property that you want to sell? Want to turn that profit around and buy another asset? Then you should read up on the 1031 exchange process. This process has many advantages that can reduce your tax burden. Read further on how 1031 exchange companies can help you navigate the process. A 1031 exchange process happens when someone sells their investment property and applies those profits towards buying another investment property. The benefit of this “exchange” is that the original seller can avoid paying capital gains taxes on the profits they earned from their sale. These transactions get their name from Section 1031 of the US Internal Revenue Code. Property sellers must redirect their proceeds to another like-kind property sale. The code also says that 1031 exchanges can only apply to business property, not a person’s home. 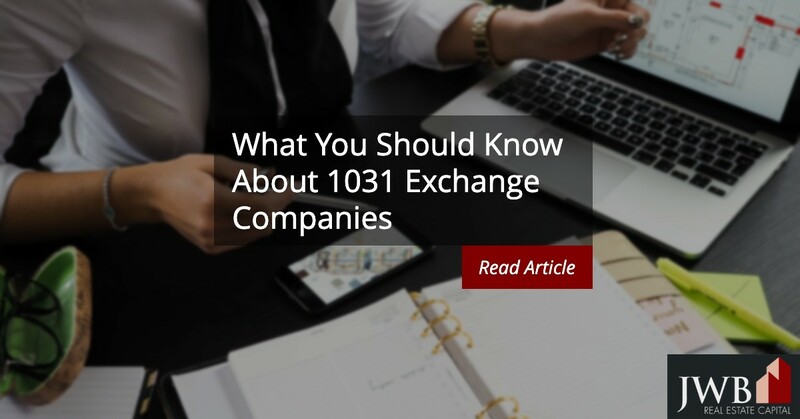 What Are 1031 Exchange Companies? A 1031 exchange company facilitates the sale between the seller and buyer. These companies sell your property and buy your new one on your behalf. They also hold the funds from your sale and transfer them to the replacement property owner. These companies can’t have formal relationships with either party exchanging properties. This means your parents or siblings can not represent you during the transaction. Section 1031 also forbids attorneys or brokers to serve as your agent if they have represented you within the last two years. A 1031 exchange company is vital to successfully completing a 1031 exchange. They allow both sellers and buyers to maintain a distance from each other while the exchange company manages the property swap. These intermediaries prepare the necessary documents to coordinate the sale. They also provide instructions to the escrow company on the 1031 exchange. The 1031 company will take control of the sale proceeds on the seller’s behalf. They deposit them into a separate and insured account. These funds stay in this account for 45 days. In the meantime, the 1031 exchange company finds upcoming like-property sales the seller might want to swap with. When they find the replacement property, the intermediary transfers the funds to the escrow office. They then convey the deed to the seller and complete the sale. Intermediaries will also prepare the necessary legal papers to follow IRS guidelines or like-kind property sales. The best companies are those that offer their 1031 exchange services nationwide. They should be bonded and insured and have good financial standing. A 1031 company should also have a long history of organizing exchanges consistent with IRS timelines. Before you hire an exchange company, do your homework first. Research 1031 exchange companies in your area and ask your friends for referrals. When you do interview an exchange company, ask to see proof of their errors and omissions insurance. Be sure to ask to see their fidelity insurance statement so that you are protected against negligence or fraud. Don’t forget to ask your local escrow office for recommendations. They may have ideas on which professional can represent you best. For more creative ways to buy investment property, be sure to check out our website. Educate yourself and you too can find success.